I am often the queen on being unable to resist corny titles/jokes. So when the opportunity presents itself, I can’t help myself. A few weeks (months??) I’ve lost all track of time at this point, ago I joined in the fun for the Wente Taste Live Event. 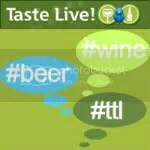 I really enjoy Taste Live, it’s fun to hear everyone’s reactions to the same wine simultaneously. 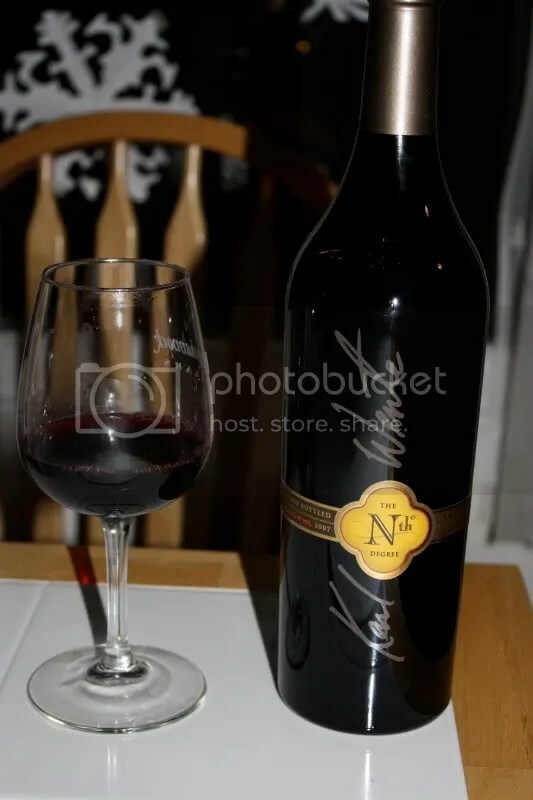 Up last for the evening, (I believe) was the 2007 Wente Nth Degree Syrah. 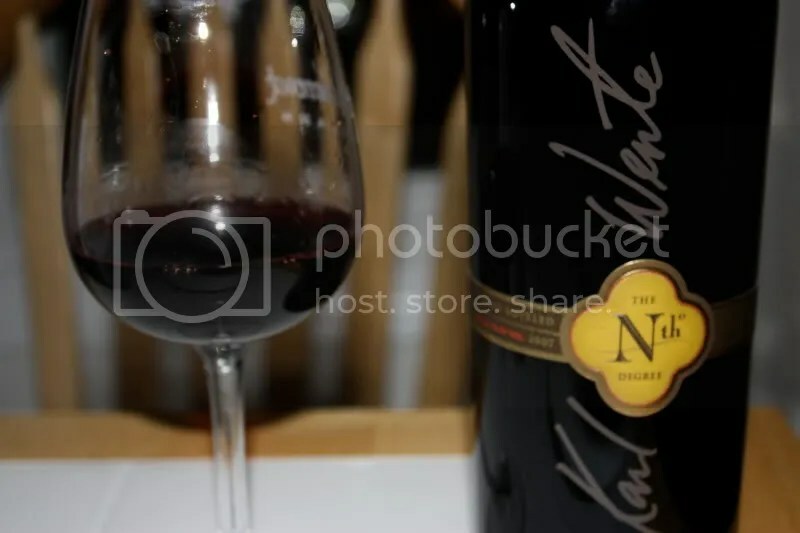 Wente wines hail from Livermore, and this one had a real cork closure, clocked in at 14.1% alcohol by volume, and retails for around $40. On the nose it was all meat that jumped out at me first. Grilled meat, charred meat, BBQ, and bacon fat. Under enough meat smells to turn a vegetarian’s stomach I found chocolate, berries, and eucalyptus. In the mouth this showed as a big jammy wine to me and all the meat went away. I got raspberry, blackberry, plums, red edges, chocolate, and coffee. While it had some nice acidity on the finish, overall I found the wine to be big, smooth, and juicy. Thanks Sonadora, they are looking a whole lot better but I’m afraid the crop will be slightly diminshed.